Give us a slice of wasted youth and motel boredom, and the bittersweet grey skies will taste (immediately) better. 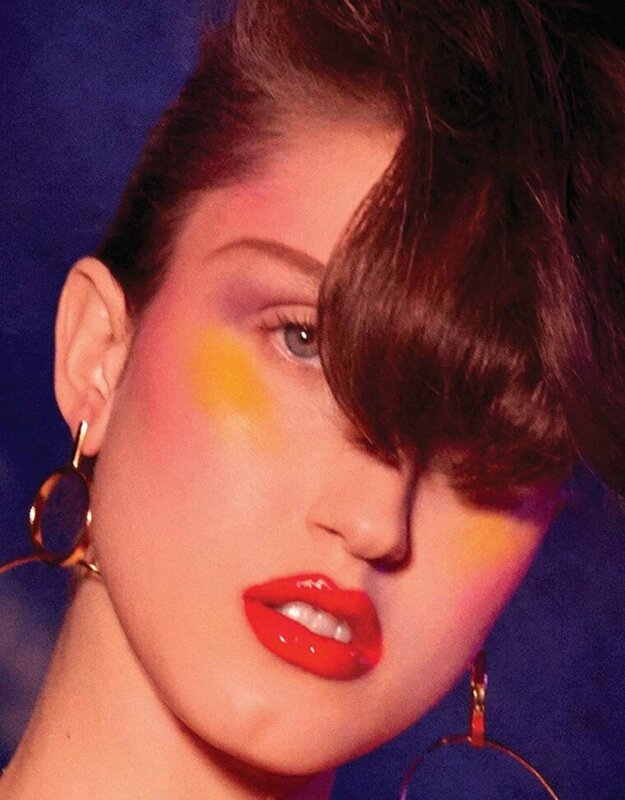 That's exactly the feeling we get from keeping our eyes close to Spring Breakers, a story from W magazine's march issue. No need for groundbreaking ideas sometimes, simplicity works fine when it comes to Andreea Diaconu's underwear moments or Luna Bijl's upside-down musings in black and white. 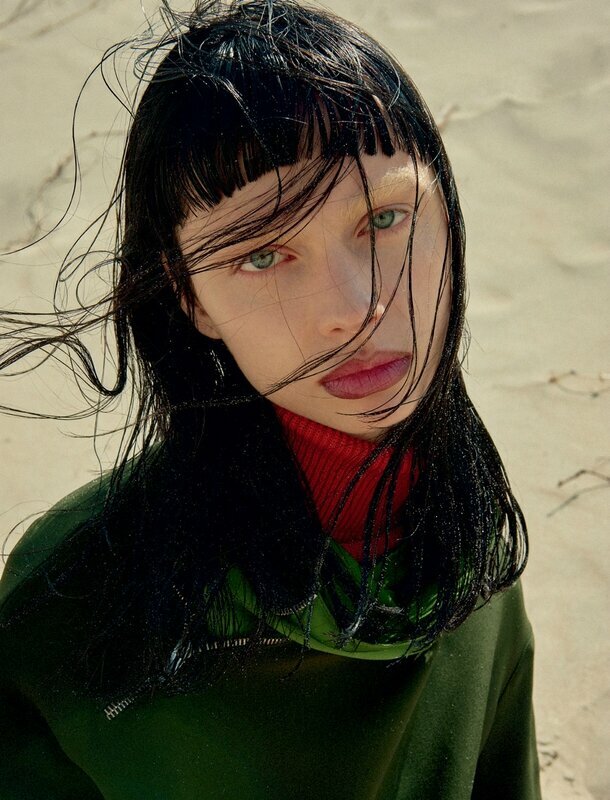 Captured by Glen Luchford and edited by Jane How, the editorial is a ballad miles away from today's concerns and sorrows and fashion week frenzy. Many times we thought we should put FDIB to rest, for good, but we guess it's not that easy to kill the beast. But when suddenly the urge to write hits hard at night, it's tough to avoid this moment all the wild ideas turn into a proper story, almost effortlessly. Had to experience this very moment again last evening, didn't see it come yet didn't stop it once the machine was launched. 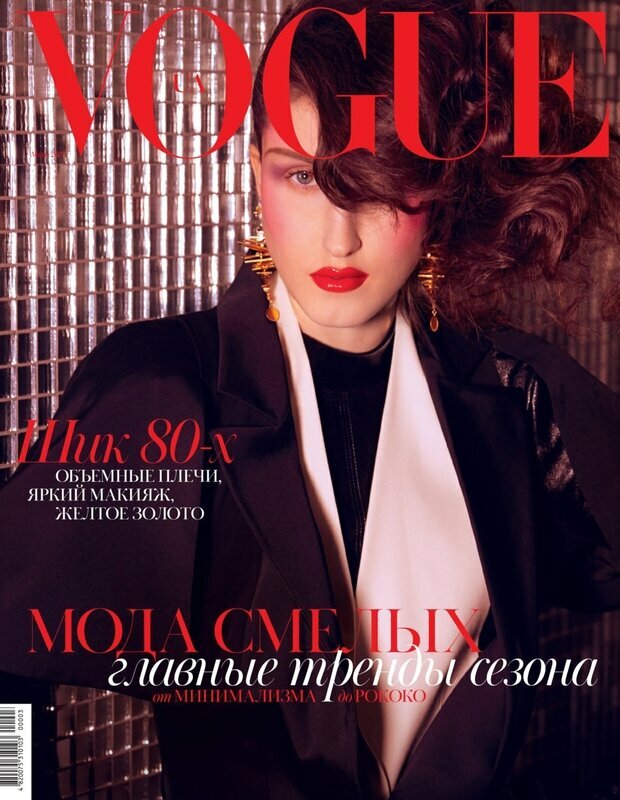 Full steam thank to Vogue Ukraine's latest cover and main editorial. So, here we go again, here we stand again, our fingers dancing on the keyboard, electrified by the photographs of Anna Cleveland. Must say that our daily visit on a famous forum also helped getting back on tracks (and back on tricks). While Vogue Ukraine usually receives its bunch of praises, this issue only got tedious to bad reviews so far. Because it's Cleveland and not a random newbie or because it's not Vogue Italia enough, because people want something more predictable while complaining things are always the same, perhaps. Because people like to criticize for free rather than spread their love and make the latter viral and incurable. 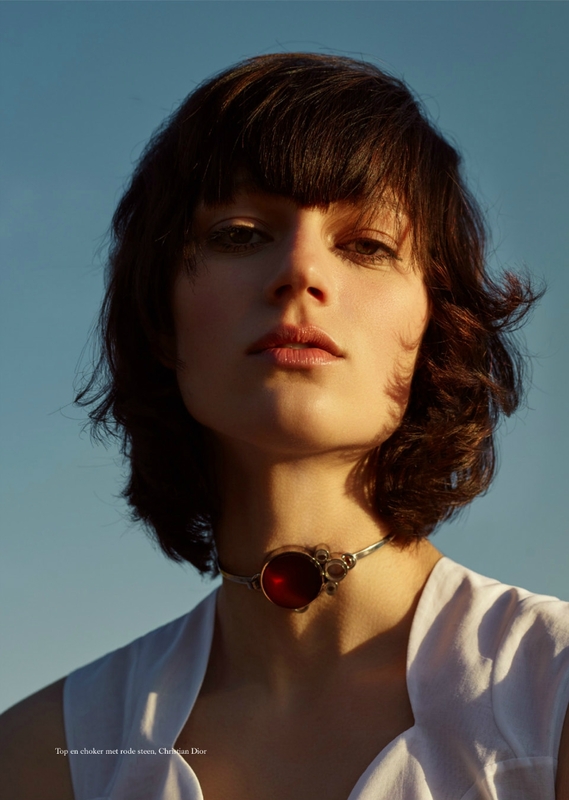 We've read enough negative comments on too many subjects lately and we do not see any single reason not to worship these new images by Yelena Yemchuk, eighties or not, déjà vu or not. There's not always a need for criticism, not always the mood for a deep analysis of a magazine's identity (guess we'll have enough time to cuddle this topic later this upcoming spring). There are days you just wanna enjoy what you see and scream your love on every rooftop. It's subjective as it seems and it sounds so good this way. 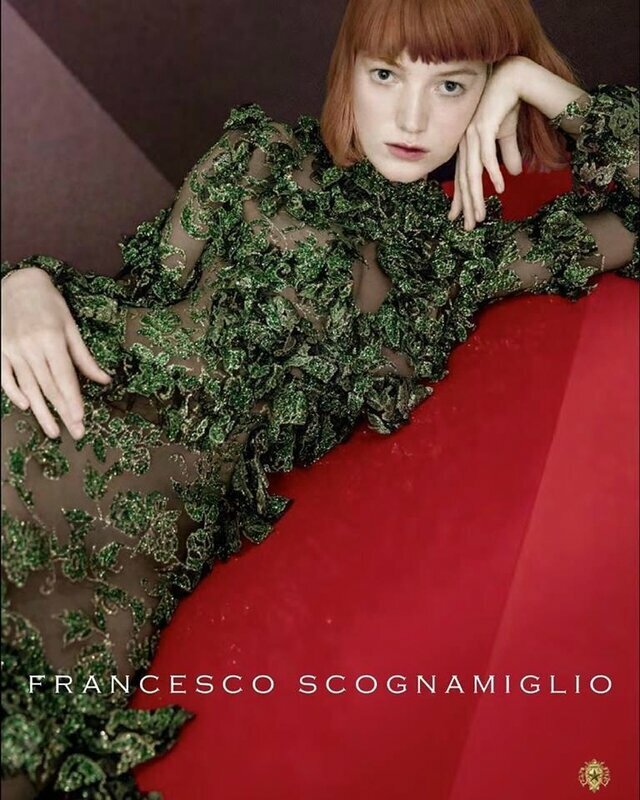 Just four weeks ago, more or less exactly, we noticed a green-eyed lady on a showcard from Women Management and couldn't not include her to our lists of models to watch, carefully. Polina Park joined our little papers as a future favorite of ours and a serious contender for the shows to come. We had to wait until the very last days of Paris Fashion Week to know we were right as it's known and seen that Polina opened Givenchy's collection. 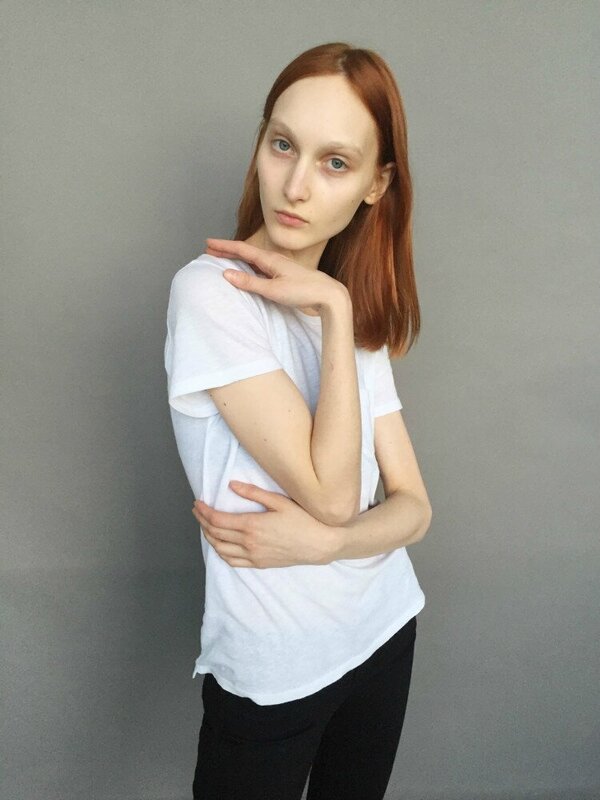 Equally delightful surprise from Paris is Daniela Kocianova opening Céline and... actually closing the show too. After some silent times, another favorite (let's even say all-time fave) is getting her well-deserved slice of spotlights. The witty Daniela with her unique looks surely knows the recipe to handle first-class bookings with care, class and much charisma. 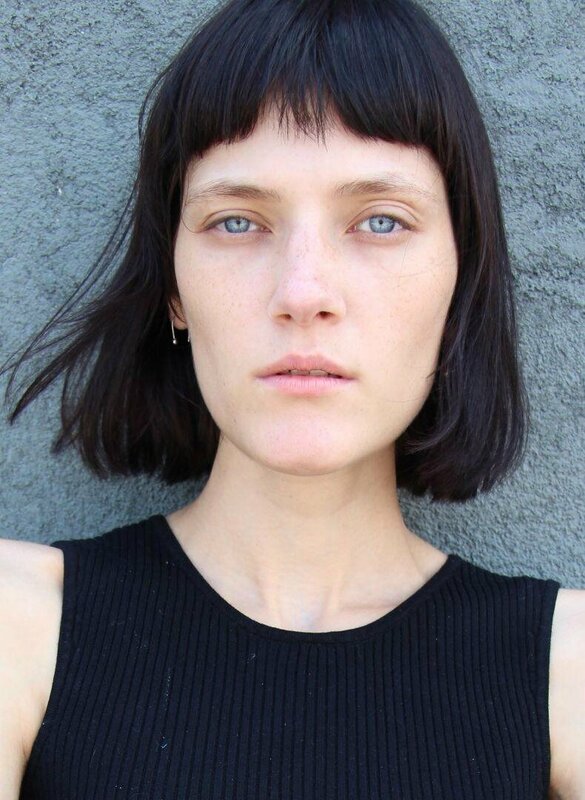 Our only regret is not to have newer digitals with her now-longer hair. But these definitely do justice to her beauty. While the rat race hasn't come to an end yet (even if we already know some winners and losers), this girl with golden hair only knows the meaning of the Midas touch: everything Lululeika put her hands on (well, booked) these last few days seems to turn into solid gold. Think about her show season, especially Paris: Dior, Valentino, Ann Demeulemeester, Givenchy, and before brightening the City of Lights, she walked for favorites of ours like Sies Marjan and Rodarte in New York, Gucci in Milan and had her hair refreshed for the best. Next step should (logically) be a lot more editorials to come for the highest pleasure of our eyes. Her latest prowesses on paper allow us to keep our hopes big and wild and include a story in Elle Sweden (shared with Frida Westerlund – talk about delightful contrast of beauty types) and another, cover included, for The Ingenue. It's been a few months we have this idea in mind: writing down all the good things we think and have to say about Nika Cole, and the moment seems better than ever so, we're glad to take it slow. 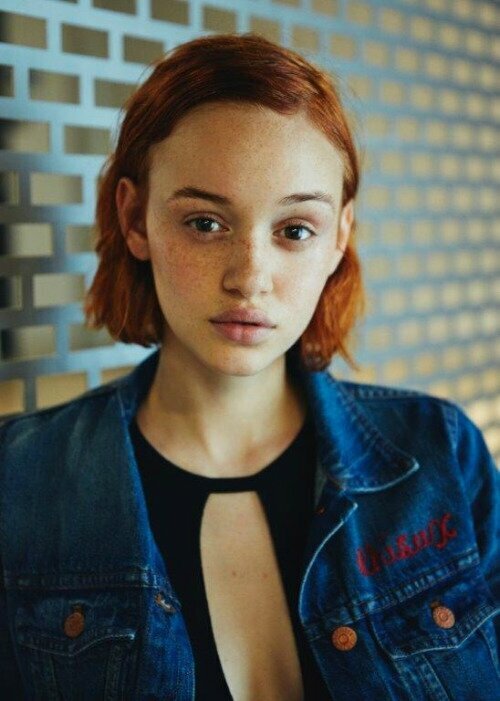 Redheads have always had their golden spot on FDIB but it takes a little more than just ginger or copper locks and an army of freckles to deserve a full article. Walking most of our favorite shows of the season could be a good reason, though. A regular at Gucci (including last week's show, recent resort and even menswear), and some brilliant appearances at Dries van Noten and Rick Owens is basically everything we can dream of: being a part of some of the best castings have always meant more to us than piling up big names or booking the most coveted exclusive. We keep our fingers crossed for some editorial stuff soon, she also looks so mermaidly neat when she photographs. During the bittersweet last days of summer, when mornings are cold then you get bitten by the overwhelming midday heat, we found an escape called nostalgia and decided to turn it into something brand new. Good old trick, golden recipe from the golden days of FDIB when every evening or so we had a post saying ''meet this model'' or ''meet that girl''. Was about time for a sweet remix, with this fruity taste of nice surprise: picking the unexpected face just to spread the love. The special one who gave us the kick to bring our ''meet'' series back to life is called Vlada (@ New Madison – great show package with the likes of Lia Pavlova and Nika Cole or our already-darling Ellinor). Old-school sensations have a bright future ahead of them. Liene Podina may not be the newest face of the season, she's surely one of our standouts, first circle, and besides looking awesome both on digitals and runway pics, her editorial performances would easily rank her among all-time FDIB favorite models like Valerija Kelava, Aymeline Valade or Shannan Click. Representend by Fusion who has our favorite show package so far (which Liene designed herself), she also caught our attention several times in magazines like 10, V or Interview and... she's from Latvia – no bias but this just brings back some of the sweetest memories from ten years blogging on fashion and models. 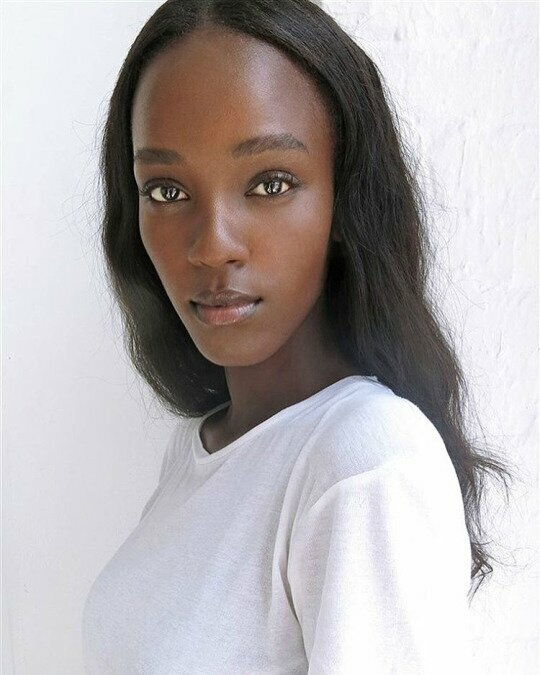 Yasmin Wijnaldum, considered by some a the runway queen who has trouble making her marks in magazines. We beg to disagree and if you scroll down a little you may see why. 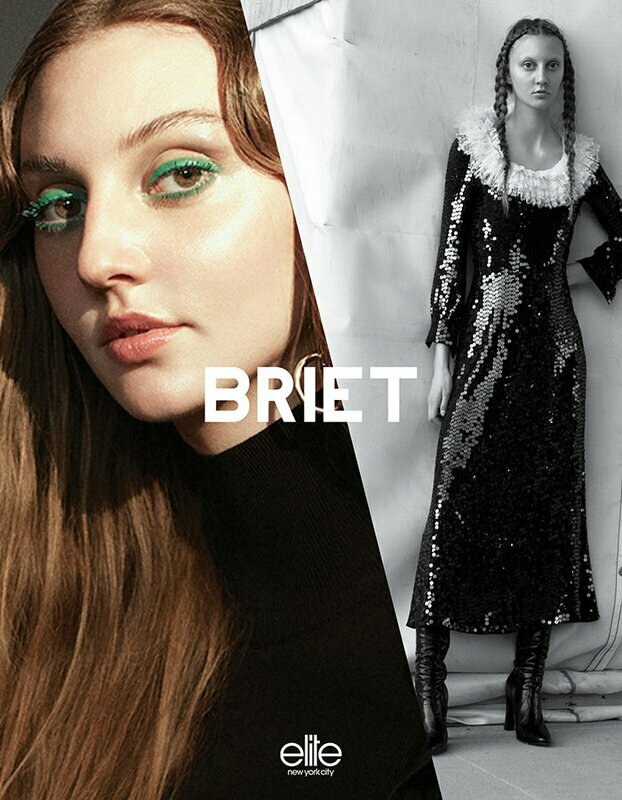 We loved her in Vogue Italia and Dazed, we love her again on AnOther Magazine newest cover, eagerly waiting for the editorial inside and looking forward to seeing what's next for her while enjoying each of her catwalking gigs or each photograph from this V Magazine's story by Ben Toms. Let's face it: impossible not to add Alanna Arrington to this list since she's in total tune with our aesthetics since we started writing here again at the end of last year. It had to happen and it happens the right time, the right way. Last season was already brilliant, this one starts how it should and editorials are as delightful as you can expect. It's not on purpose even if we love this name but here comes the second Leila of the list. 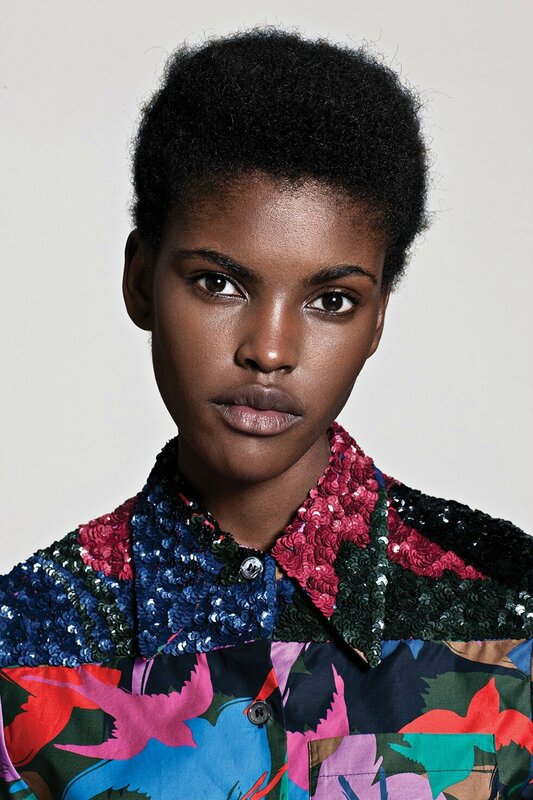 Women Management's Leila Nda was sure to land here as soon as we saw her most recent pola-sheet. Graceful and gorgeous, she's just that very kind whose beauty translates so well from runways to glossy pages. This story without Chiara Mazzoleni would be like a day without tea: sounding bad, looking sad. 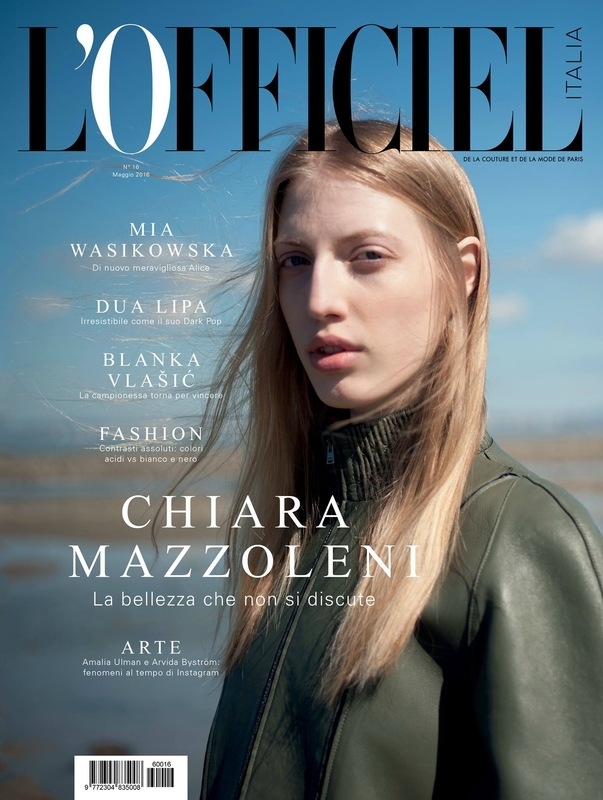 She ruled our editorial world for the last nine months from Vogue Italia to Wallpaper to this awesome spread (cover included) from L'Officiel Italia. Needless to say each of her digitals is also a pleasure to watch and collect. 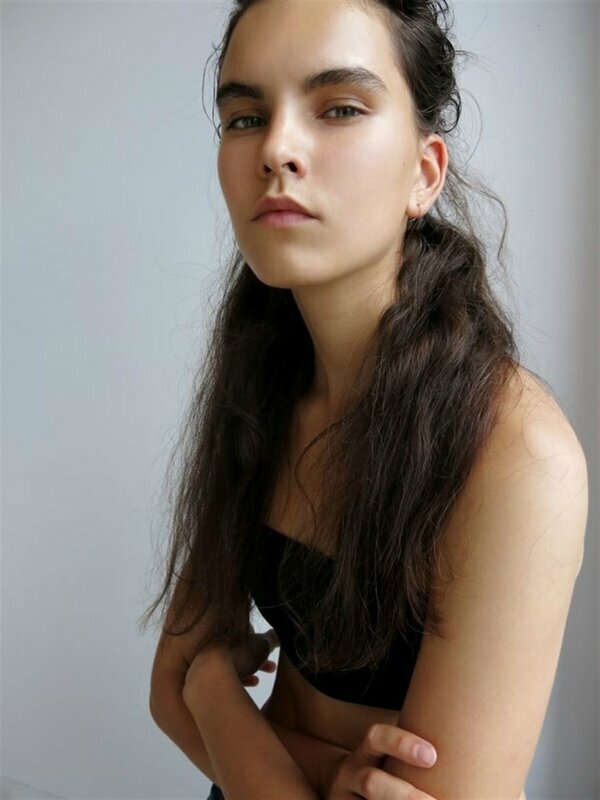 Icelandic newcomer Briet Olina was in many of our conversations these last few weeks among topics like ''when are we going to feature her on the blog''. Just done now, and timing seems perfect. Unusual beauty type meets eye-catching eyes (sorry for that but it's just the way it is) and you may just have trouble ignoring her. 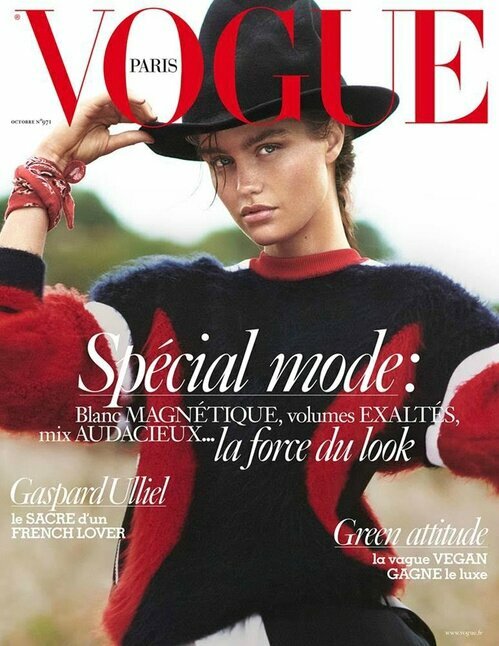 Featured on FDIB some months ago, Luna Bijl captured everyone's attention after landing her first Vogue Paris cover this summer. Second one wasn't far as she rules the most famous french mag's october issue again. The process that makes a model a magazine's darling or a photographer's muse has always been one of our favorite things in fashion no matter how famous the people or publications are. Luna is doing it royal and we can't complain. 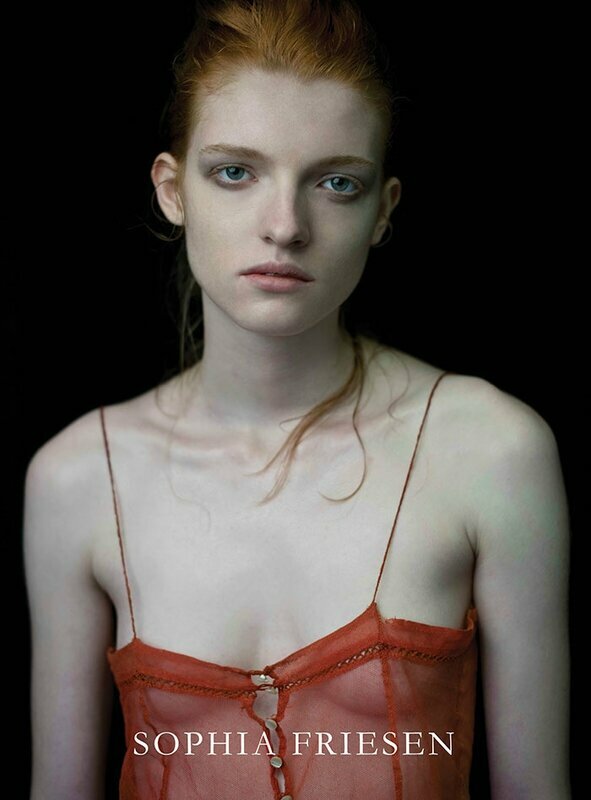 A face that is one in a million next to that dark mood and her melancholic gaze in editorials from Numéro (four spreads at least from two different editions): Hayett McCarthy became a favorite of ours for being able to keep us hungry for her next piece of work as soon as one story's out. And Numéro is far from being the only one to haven fallen for her charms: both brands and mags seem to agree with us she belongs to those who deserve to shine (in her very own dark manner). 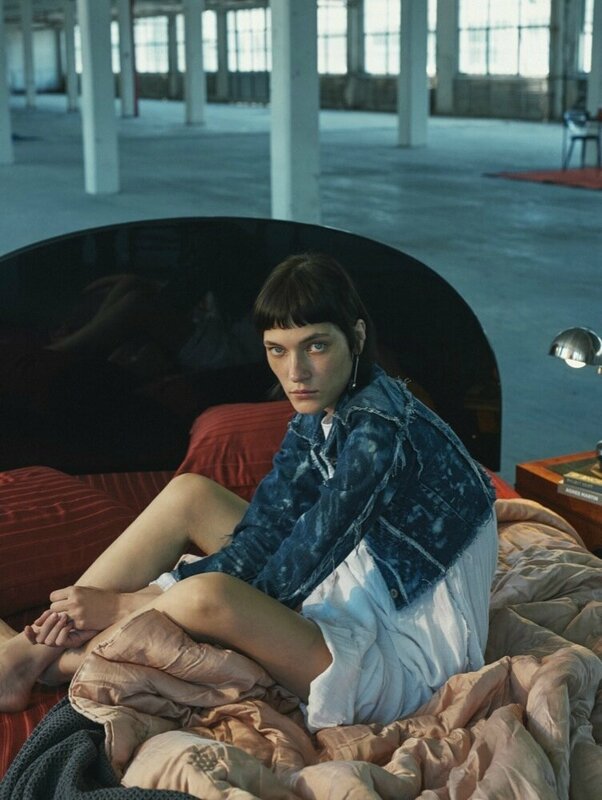 Last but not least, and she's probably the model with the best body language of the moment according to her editorial portfolio: Lou Schoof. Still too rare on the runway, her very own way to move is equally thrilling when she walks in designers clothes. Talk about delicacy with a twist, subtlety and effortless elegance and put her signature hair on top of that and you've got us totally lovestruck. Many others would have deserved a place here, from Sora Choi to Ebonee Davis (featured in our previous runway review without walking a show or almost) as well as all-time favorites like Mica Arganaraz or Anna Cleveland, newcomers we fell for in New York and London and of course girls we secretly hope to see soon, those who may have more wildcards than showcards. But time is not a friend of ours, running faster than we'll ever be able to so we've got to stop it here. Do we really? Who knows, who cares – we may not. 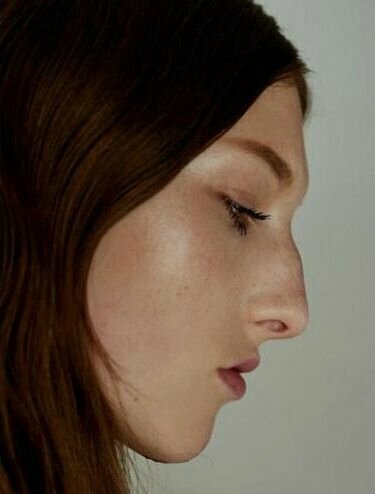 The show has begun and the frenzy's on (though we say this from the sofa, comfortably sitting and watching the game), Katie Moore went blond for Wang while the opening slot of the same collection went to a gorgeous Anique nobody seems to know (lovely surprise). Meanwhile Ellen Rosa steals the spotlights everywhere she walks. We're still doing our list(s), still picking our favorites, being picky, gathering our own gang of obvious favorites and personal sweeties with potential. And today we start our second round with newbie from Elite Jordan Moon. The photograph above says enough on why she's here and she's now. Redheads have always had their special place on FDIB and Gucci-girl Sophia Friesen belongs to our current copper-haired favorites, also for her editorial abilities besides totally refreshing the ginger appeal. There'd be no full review without Leila Goldkuhl, who jumped from her trademark blond hair to some brunette look that suits her too well to be skipped here. 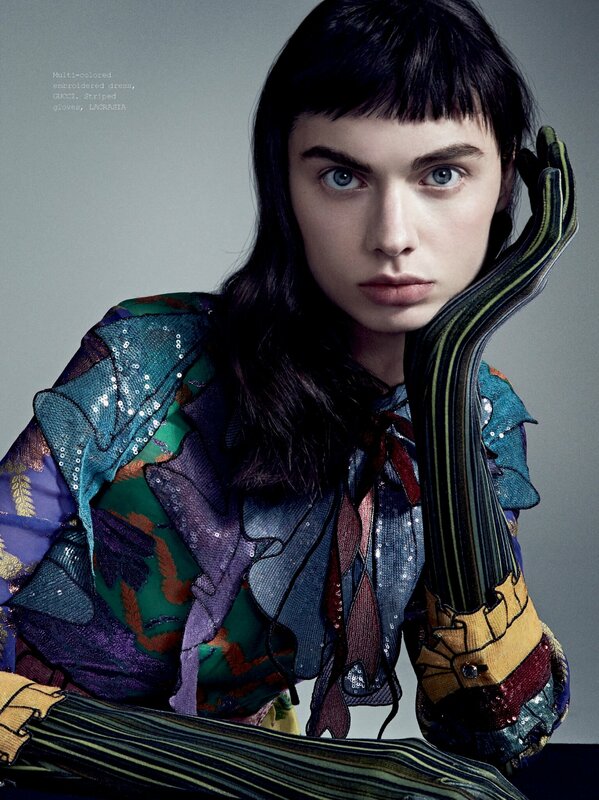 Though, she rocks as a bluehead too on that heart-melting picture from W by Patrick Demarchelier. As a sidenote, there are those who complain about her having B-list shows on her list and others who rejoice to know she started the season off with Tom Ford. We guess we belong to the latter. She's moving like a quiet storm, powerful in subtlety and her Harper's Bazaar NL issue was our best buy from Amsterdam this summer. 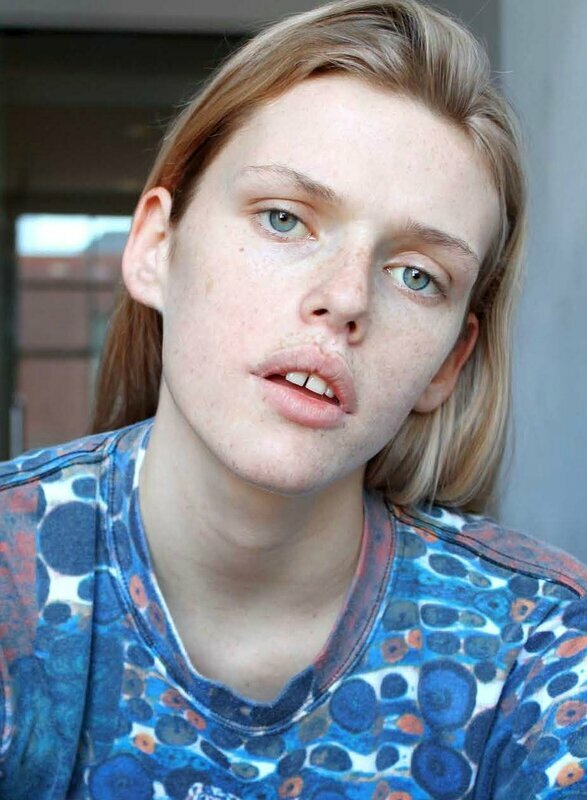 Ellen de Weer has a rock-solid editorial book and has yet to pop up somewhere but such a soft beauty with a twist should have no issue finding her way to her very own limelights. Last but not least, as we're closing this chapter (third one coming soon): Rhiannon McConnell. Our love for her looks has grown quite high since last season and not about to turn tedious. Seriously, who could resist to party pictures that could have been published in the most selective magazines. Here comes september (everywhere comes september) and it was about time to take a pen again and put together a piece of pictures and paragraphs on the models we look at, we love to look at and would love not to stop looking at for the weeks to come and far beyond. Way too many names and as many beauty types has led us to divide this story in a few parts. Here comes september and with it golden leaves and showtime, here is the first chapter of our ''picks for the season'' starting with Amilna Estevao, already a favorite of FDIB for a while and our enthusiasm hasn't fade away a single bit. 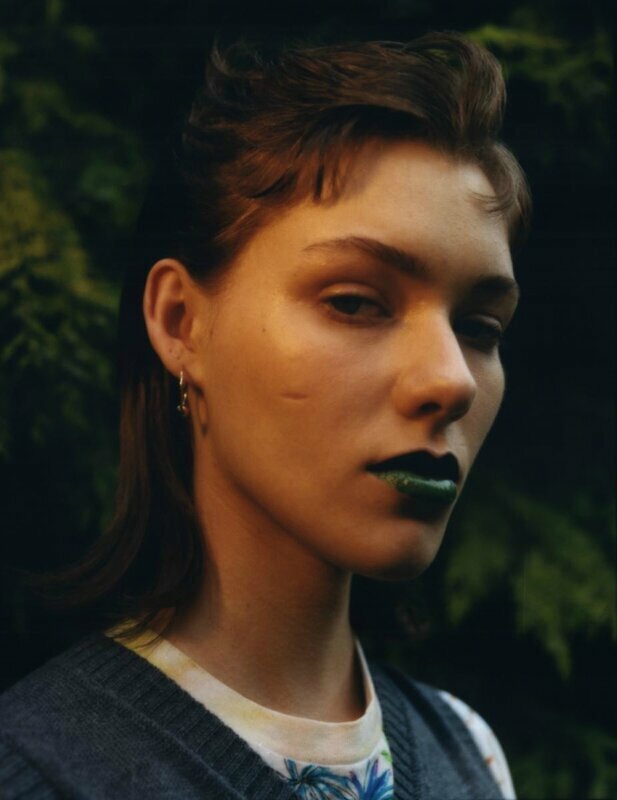 Featured here for the first of may, Jay Wright remains on the top of our list(s) especially when it comes to editorial performance. Devil-may-care, as graceful as laid-back, relying on her unforgettable face as much as on a very personal sense of style, the young and strong beauty from Next (and Mother Management, yes, another one from their incubator is about to taste her slice of success) has got the look and the book. We don't have enough time, place and rhyme to drop a note on each beautiful baby we love and would love to promote a little more. That's how and why we also love combos and this one is the one, rocking editorial after editorial, side by side or on their own. 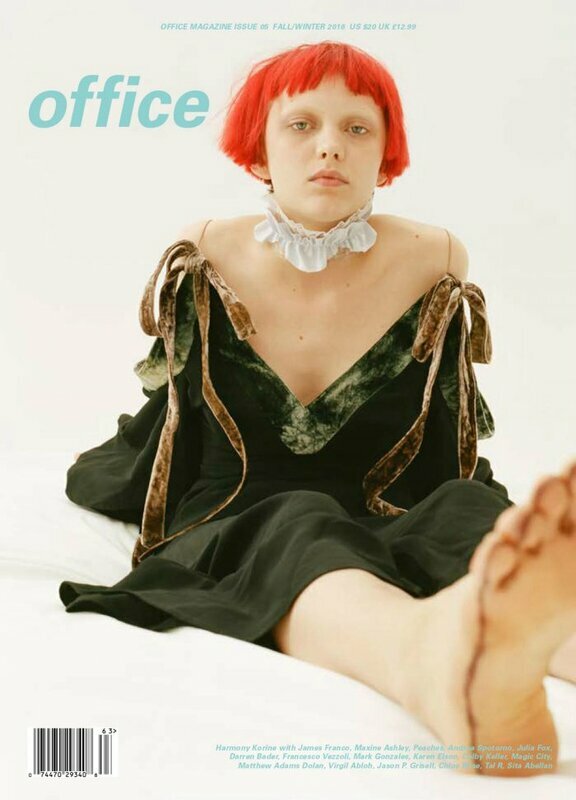 Natalie Westling and Vittoria Ceretti appeared together for the first in Vogue Italia's main story by Steven Meisel (no less) and the epic duo striked back for Interview, portrayed together again (and very together) by Collier Schorr. If there are garments that are large enough for two, we hope to see them hit the runway like this too. Latest addition and newest addiction, Supreme's new face Nina Serebriakova joined our list while we were already processing the writing. One photograph was enough (see above) but the whole book from early test pics to her bunch of digitals is worth a long look. In tune with our tastes, at the moment and beyond, she may still fit into the diamond-in-the-rough category. But rough or not, the gaze under her fringe is precious and powerful. 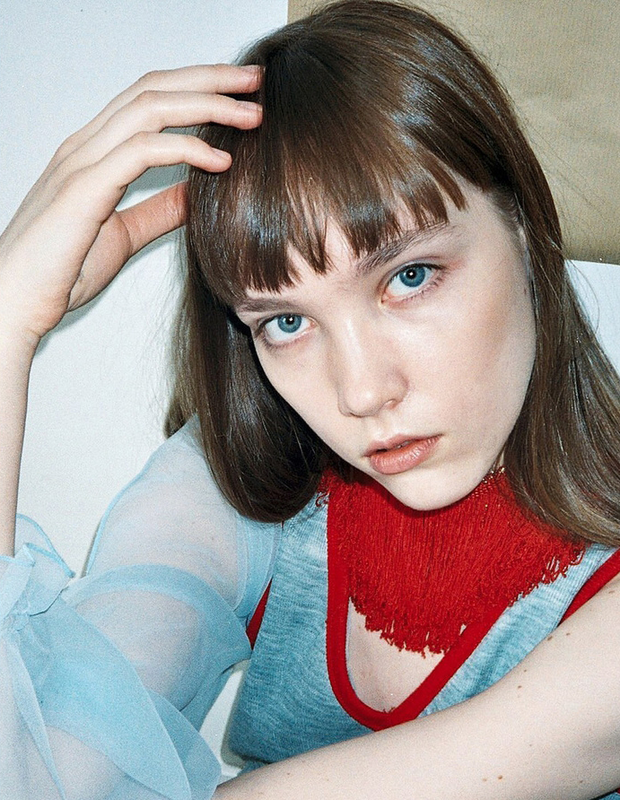 Most featured model on FDIB this year, Katie Moore is about to start her second season with bright red hair and has gathered a brilliant collection of editorial sheets since her appearance at Alexander Wang in february. Freshest materials available to illustrate our love for Moore (one more time) comes from Office magazine, shot by Jeff Henrikson. ''Toy with me'' the title says, and she seems ready to play another round. We seem too. She's one of these models we wanted to feature, more than just once and never got the right opportunity, so, let's create it today. Greta Varlese's die-hard momentum is turning into a rock-solid career made of plenty of breathtaking photographs – just like these from CR Fashion Book by Rory van Millingen. The more she shoots, the more she scores and the better she models, for the greatest pleasure of our hungry eyes. 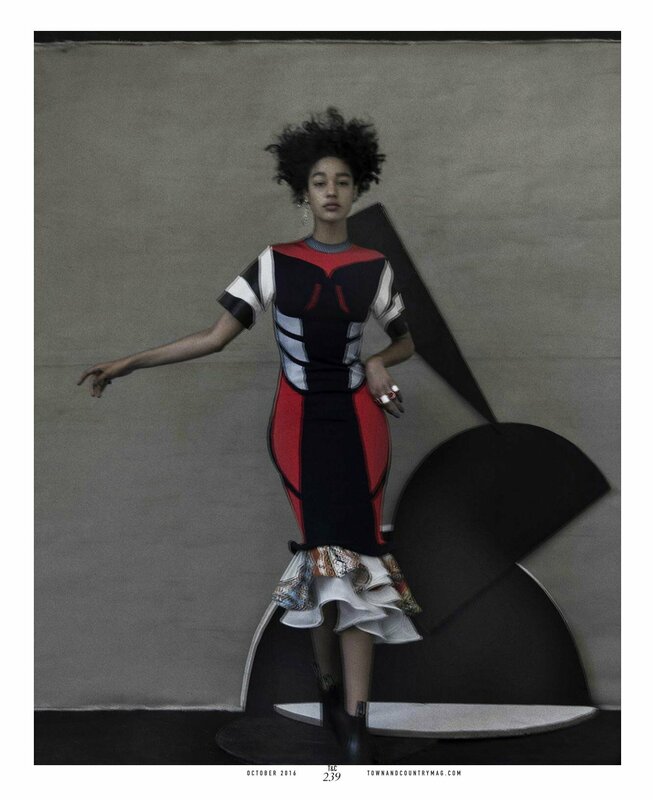 Closing the first part of our fall fashion tale is no other than Damaris Goddrie and we thought the best way to celebrate her beauty and talent was to choose a picture from her second collaboration with Sarah Moon, quite one of these winning teams we do adore, when the photographer and her model share that kind of magical connection leading to equally magical visuals. Let her keep on spreading this sort of witchcraft everywhere else now. Tina Veshaguri for L'Officiel Manila. We love her for ages and her new look perfectly meets the way she moves. Indiah Lavers – she's got a card, we hope for some lovely debuts in New York City this fall. And we wish we were able to do this intro in a happier mood. Had a special meal for breakfast today: an article on Trump Models, and that wasn't a few enraptured lines to say how much the author was electrified by Katie Moore's newest digitals (as we are) or how mesmerizing are Tina Veshaguri's poses and gazes (as we are too, above from Numéro China). That was about Donald and his eponymous agency, as if we weren't already drowning in a sea of written pieces on him, his so-called ideas, his personality, his past, present and potential future. Let's put it simple, we see him as an obnoxious mogul gone dangerous politician and have zero love for who he is, what he represents and what he says he's gonna do (by the way, we're no supporters of Mrs Clinton either, being a woman doesn't mean being progressive by any mean – see our homebred Mrs Le Pen in France). But trying to shoot silver bullets at Trump's modeling agency a few days before a new season starts isn't necessarily necessary. We didn't know some magazines wanted to be a fashion equivalent to tabloids, shame as we do love many of their editorials. And our question is: who do they wanna hurt? Trump himself couldn't care less, but the hopeful models and hardworking agents? Are the practices described in the article the prerogative of Trump's agency, an isolated case and everyone else is vertuous? If you want to read it, go google it, we do not link to low-level foamy stuff here.